Sundance Film Festival organizers plan an attraction called the Cinetransformer during the January event. It will be located on the north side of the Main Street post office and will be used for panels and screenings. Sundance will also set up a Festival Village on lower Main Street. 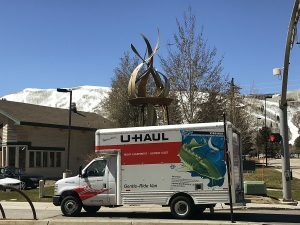 Courtesy of Park City Municipal Corp. The Sundance Film Festival will transform several critical streets in Old Town in January. Festival organizers and City Hall recently reached an agreement allowing Sundance to occupy the section of 5th Street on the north side of the Main Street post office, the location of some of the post office parking spots and one of the roads that connects Main Street with Swede Alley. Sundance intends to set up a new festival offering, called the Cinetransformer, on 5th Street. 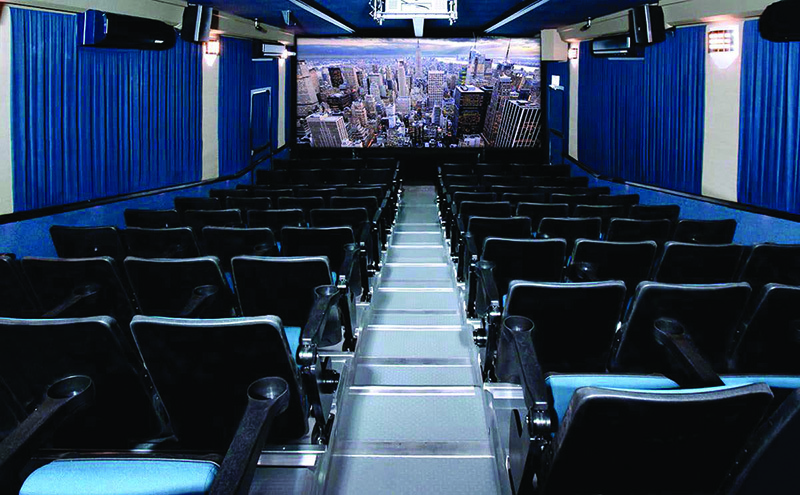 The Cinetransformer is described as a truck that can be made into a theater for up to 90 people. 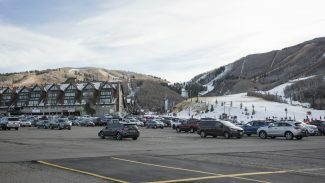 A summary of the Cinetransformer submitted to Mayor Jack Thomas and the Park City Council indicates panels and screenings will be held at the location. Hours will stretch from 9 a.m. until 10 p.m., the summary says. The Cinetransformer will be accessible to people holding Sundance credentials and the public if there is room available. The documentation indicates 5th Street will close on Jan. 17, two days prior to the festival’s opening, and reopen on the last day of Sundance, Jan. 29. It says Sundance wants the closure to be minimized by removing the setup quickly after it is used last. The submittal says people driving to the post office will be able to park on Main Street in front of the building, behind the post office or in select spaces on Swede Alley. Sundance says in the submittal festival organizers could not return to one of its former locations in the Gateway Center in Old Town and the Cinetransformer is the replacement for what was known as the Microcinema in the Gateway Center. Another significant change to the setup along Main Street will be a closure of a section of the lower part of the street, between the 7th Street and 9th Street intersections, for the duration of the festival. Sundance will operate what is called the Festival Village on lower Main Street. The impacted section of road will close to traffic at 10 a.m. on Jan. 15, the Sunday before the festival. City Hall says 7th Street and 9th Street will continue to be open to traffic during the closure along lower Main Street. “We are creating Sundance Film Festival Village between 7th and 9th streets. There will be music, performances and sponsor activations all free and open to the public. We are excited to bring more of the festival spirit to the streets of Park City,” Sundance Managing Director Sarah Pearce said. 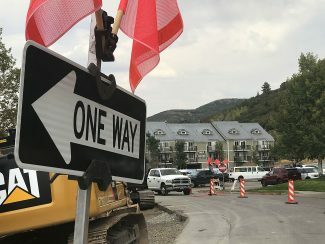 City Hall staffers caution lower Main Street will stay closed to vehicles until the early morning hours of Feb. 2 since a concert marking a World Cup freestyle competition at Deer Valley Resort is planned on Feb. 1. There will also be concerts on a stage at the Festival Village. “If they are lucky they will catch a glimpse at one of the many celebrities headed into the adjacent press junket space,” the report says. Festival organizers annually tinker with the Sundance setup as locations become available or are lost and as new programs or setups are introduced. 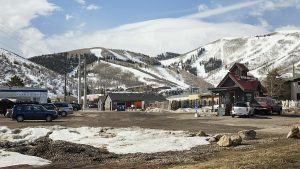 Sundance officials recently met with the Park City Council to discuss the alterations planned in 2017. The Cinetransformer was a part of those talks. The City Council approved the operational changes. There appeared to be little public interest in the discussions. The Sundance street closures in 2017 will be the most significant since 2009. That year, the stretch of Main Street between 7th Street and 9th Street was closed to traffic in favor of the festival’s concert venue Music Café. Main Street has long been a hub during Sundance as festival organizers create temporary spaces for installations or other programs in addition to longtime venues like the screening room at the Egyptian Theatre and gathering spot known as the Filmmaker Lodge. Numerous corporate interests, official Sundance sponsors and others seeking to capitalize on the festival spotlight, also arrive on Main Street with temporary setups in leased space. 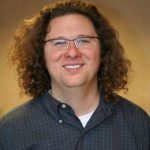 Dave Gustafson, a City Hall project manager who helped craft the Sundance plans for 2017, said the festival setups along Main Street will ensure there is energy throughout the event.